Because of generous tithes and offerings Princeton is able to be involved in missions in many ways - locally, nationally and internationally. For a list of all our mission and ministry partners click here. 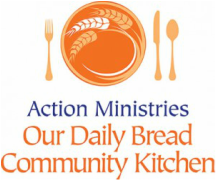 Volunteers from Princeton serve a meal to hungry guests at Our Daily Bread on the 1st Tuesday of each month, plus various Saturday or Sunday sack lunches as needed each year. Over 1,900 hot meals are prepared and served each year at a cost of $2,451 involving over 275 hours of volunteer service. Money collected by our "Dime Ministry" and donations left at the altar on Communion Sundays is used to buy the food for these meals. Special collections such as Sou-per Bowl Sunday also help support this hunger relief ministry. The congregation at Princeton collects canned food, empty egg cartons, paper grocery bags, and dollars to be given to the Athens Area Emergency Food Bank. 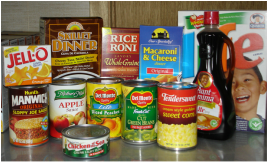 Also during the four weeks leading up to the Super Bowl, Princeton challenges the congregation to collect at least 1,000 cans of foods for our "Soup-er Bowl". Members invite family, friend, neighbors, co-workers and others to help us collect for this special food drive. If folks don't have time to shop, they can give money, with each dollar counting as 2 cans. The money is given to Our Daily Bread (see above). For the past several years, Princeton UMC has supported the Food Bank each year with an average of 2000 food items and 60 hours of labor. It was a warm Saturday morning. Some of us had met at the church early to put together sack lunches to take to Our Daily Bread. Around 11:30 we left for Oconee Street Methodist (the original location of Our Daily Bread), the back of the car full of ham and cheese sandwiches and other treats and drinks. When we arrived, there were quite a few people already there waiting for us. Many of them came to the car to help unload the many boxes. We set up, put out the cold drinks - Pepsi, root beer, orange drinks - and began to pass out the lunches to our guests. By 12:30 most of the folks assembled had been served and were sitting around the picnic tables enjoying the meal, the sunshine, and the company of their friends. We only had about 6 or 8 lunches left and were wondering if more people would come, when down between the buildings came a family - a Mom, a Dad, and three little boys - probably ages 6, 8, and 10. We greeted them and invited them to get a lunch and pick out a cold drink. The boys really took their time in picking out their drinks as only boys that age can and left to join their Mom and Dad to eat. Several more folks came and as the last of the lunches were given out, we began to clean up. Folks were beginning to drift away and it was almost time for us to go. As I picked up trash and readied the drink boxes I felt a tug on my elbow. I turned and there was one of the boys - the 8-year old. Blond, blue-eyed, a perfect little boy. He held up a worn, dirty dime to me - I asked him "Is this for me?" He said yes. I asked him what he would like for me to do with it. He said "I don't know". I said "How about putting it in church sometime?". He smiled and said "Yes, do that" and I said OK and thank you very much. I stood there with that dime in my hand and thought and wondered why a child in the place that he found himself would give up a dime that he could use on candy or anything else that a little 8-year old might want. A few minutes later after he had run off to play his Mom came up to me and said "We're trying to teach them to tithe." I still have that dime - I can't seem to part with it. It reminds me of Jesus - of how He always wanted the little children with Him. It reminds me that He didn't judge people by where they were and the circumstances that put them in a certain place. It reminds me of the story of the widow and her coin. It will always remind me of a sunny spring day - and a little boy who touched my heart and his gift that still makes me cry when I think of him. The children of Princeton are in charge of the Dime Ministry. The members of the congregation keep all of the dimes that they receive while shopping until the last Sunday of each month. On the last Sunday the children stand at the back of the sanctuary with little buckets and collect the dimes as everyone leaves the church. The dimes( and pennies, nickels, quarters and yes even dollars!) are counted and they are used to fund Princeton's commitment to feeding the guests at Our Daily Bread (see above). Because of the funding generated by the Dime Ministry we have been able to commit to the first Tuesday of every month and to several Saturday and Sunday sack lunches. At Christmas, Princeton United Methodist Church partners with The Salvation Army to provide Christmas gifts for needy children. The Salvation Army sends us the gift wish list for 10-12 children. We write each child’s name with the Christmas gift that they want on an angel ornament tag and hang it on our Angel Tree which is located in our church lobby. Members of our congregation select an angel ornament tag from the tree and purchase that gift or gifts for the child. The unwrapped gifts with the child’s angel ornament tag attached to it are due back to the church by a designated date in early December.The gifts then are delivered to The Salvation Army for them to distribute. Because of this project many children wake up Christmas morning to wonderful gifts. Additionally, many from our congregation volunteer in teams to help set up The Salvation Army Angel Tree "store" and on the day of distribution gather and hand out gifts to the families.